I’m trying to remember why that walkway leading to the castle is empty, and I think it was not just momentary good timing. It’s hard to find any part of Walt Disney World completely empty. The path might have been closed to prepare for the Happily Ever After fireworks show that is shown every night in the Magic Kingdom. 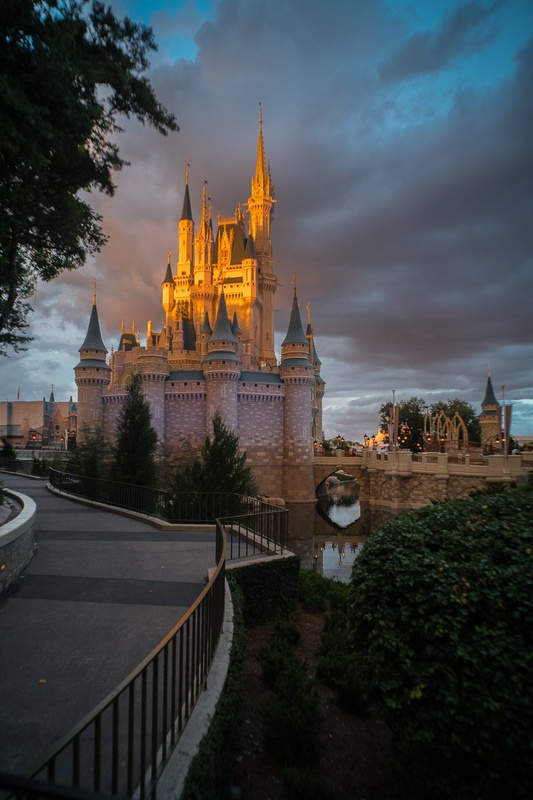 In any event there were great skies that evening and I walked by this spot at an ideal time to catch the last rays hitting the Cinderella’s Castle before the sun set.